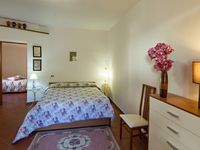 L'ULIVO: apartment within farmhouse just 15 minutes far from Assisi. Property 18: L'ULIVO: apartment within farmhouse just 15 minutes far from Assisi. Property 20: Fairytale House with a Pool Near Spoleto. Property 46: Antica Dimora Julia "Spello Holiday House"
Beautiful house with great location! From the moment we arrived, owner Alessandra was there for the warmest welcome. Her home is bright and beautiful, perhaps directly proportionate to Alessandra. What a wonderful experience we had there and hope to stay again when we return to Assisi someday. It is walking distance to the center of this historic gorgeous place! And the view from the terrace is breathtaking!